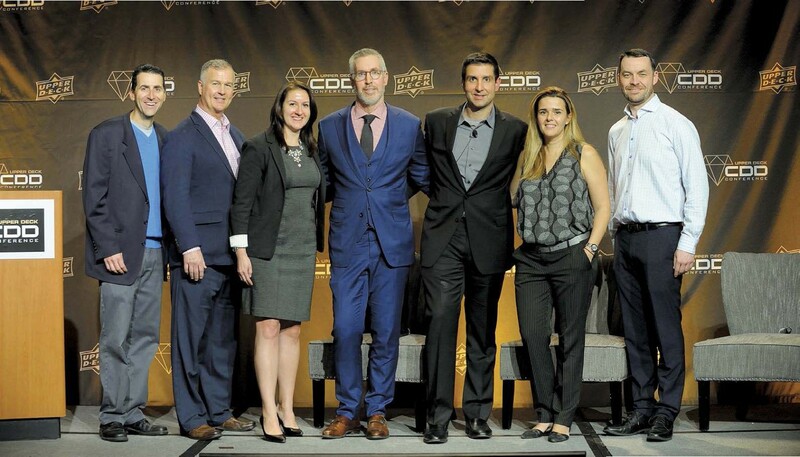 NHL VP Dave McCarthy (second from left) joined executives from Upper Deck and the NHLPA to announce the new licensing deal at the UD Certified Diamond Dealers conference in January. 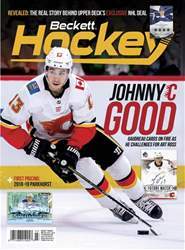 DAVE MCCARTHY, NHL VICE PRESIDENT, CONSUMER PRODUCTS MARKETING, EXPLAINS WHY THE LEAGUE CHOSE UD, REVEALS WHICH COMPANIES IT TURNED DOWN AND HINTS AT SOME EXCITING YEARS AHEAD IN THIS EXCLUSIVE BECKETT HOCKEY INTERVIEW. BECKETT HOCKEY: Now tha. The Cup has been released and the 2017-18 hobby season is inally in the books, what’s your take on the current state of the market? DAVE MCCARTHY: Strong, stable growth are the three words I’d use to describe it. The young, fresh faces are [earning their place on] NHL rosters and they’re making an impact on their teams. That’s one of the main attractions in this category and we’re lucky to have so many [rookies] who provided excitement to our fans night ater night. And how do our fans get closer to these players? Video games is one medium and trading cards is another. To Upper Deck’s credit, [that demand] begins and ends with quality product that collectors want to buy; both tried-and-true brands and new [concepts] that capture their attention. So, it’s strong and stable. And when I say growth, we’re looking at future classes that will likely be drated in the coming years. Jack Hughes, of course, is already on everybody’s minds. 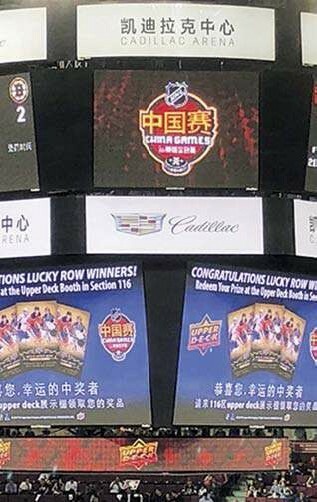 Upper Deck has done a very good job managing the category on our behalf and it begins and ends with quality products.